Ongoing and timely service is what makes us stand out from the rest. New customers with no equipment warranty on existing equipment receive coverage for equipment replacement, batteries, and service calls from 8:30 am – 4:00 pm on weekdays. Add this benefit and save $85 per hour on service calls. 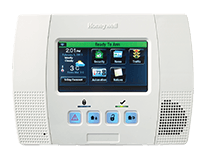 Includes panel, keypad, and up to 8 zones. Many of our common requests can be addressed using the information below. We look forward to helping you in any way we can. To request a service call, please fill out the form below and a representative will be in touch to process your request. If your request is urgent, please call us at 1-866-453-3388. I want to add a service. If you’d like to add a service to your current system, we must verify that you are the account holder. Please fill out the form below and a representative will be in touch to complete the process. Check the services you would like to add. New customers with no equipment warranty on existing equipment receive coverage for equipment replacement, batteries and service calls between 8:30 AM – 4:00 PM on weekdays. Add this benefit and save $89 per hour on service calls. 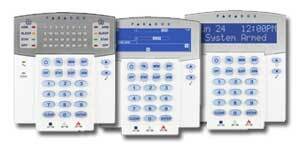 Includes panel/keypad and up to 8 zones. 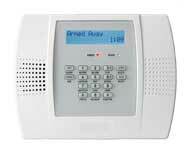 A guard can respond to intrusion alarms for you. We will inspect around your building before the police are dispatched, so fines are reduced. Peace of mind when no one else is available to assist. Includes 4 visits per year. Receive a report on the first of each month, listing each time your system has been armed/disarmed, and which user codes were used. This is especially useful to business owners. I want to add a device. To add a device to your current security system, please fill out the form below and a customer specialist will be in touch to complete your request. Our experts will test your home network and consult with you on solutions for improving your home Internet and WiFi. Currently available in Halifax region only. $85 + tax for one hour. I would like to enquire about a new system. Enquiring about a new system. If you’d like a salesperson to help you assess your evolving needs for security and home automation, please fill out the form below and a customer spcialist will be in touch to book an appointment with you. I would like to update my contact list. To make changes to your call list, we must confirm that you are the account holder. Please fill out the form below and a representative will be in touch with you to verify your total call list. Request copy of current call list. I need to find a manual for my alarm system. 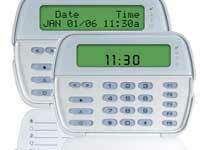 We have links to many common alarm system manuals that you can download. I need a Monitoring Verification Certificate for Insurance. Monitoring Verification Certificate for Insurance. A Monitoring Verification Certificate can be used to provide proof of security monitoring to your insurance company. Please fill out the form below and a representative will be in touch to complete the process. Please note that if you are requesting a Monitoring Verification Certificate for insurance purposes, you must provide it directly to your insurance company. I would like to request an activity report. An activity report provides a summary of events within a specified time period. To provide you with the report, we must first verify that you are the account holder. Please fill out the form below and a representative will be in touch to complete the process. I want to request a seasonal disconnect. If you’re going away for an extended period of time and switching your home telephone service to “seasonal disconnect”, please contact your telephone provider for details on how this service will work. 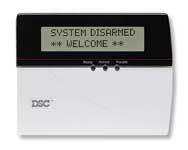 To allow your alarm system to maintain its ability to communicate with the monitoring station, you will need to confirm the phone number(s) their seasonal disconnect service will work with. Different telephone providers handle this service in different ways; some strictly restrict your phone to not allow incoming calls and/or will only allow outgoing calls to one toll‐free number. Therefore, you may be required to have a different phone number programmed into your alarm system to be compatible with this service which may require a service call from one of our technicians. Always test your system once the “seasonal disconnect” service has been activated to ensure that the system can still communicate with the monitoring station. Please note that in order to make changes to your account, we must verify that you are the account holder. Fill out the form below and a representative will be in touch to complete the process. If you’re moving in the near future, please fill out the form below so that we can help you protect your new home, as well as disconnect service at your old home. A representative will be in touch with you to complete your request. I’m considering disconnecting my landline. 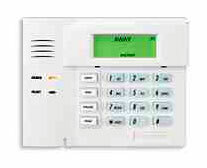 If you want to get rid of your landline telephone service, ensure your home remains protected by upgrading your alarm system to communicate through cellular or Internet. Please fill out the form below and a representative will be in touch to further assist you. If you have already disconnected your landline, you may have noticed a yellow triangle on your keypad, indicating that your security system is no longer being monitored, leaving your home unprotected. This applies to any alarm system that communicates through the phone line. In order to ensure your home is protected, you should upgrade to a cellular or Internet communicator. Please fill out the form below and a representative will be in touch to help process your request. I would like to cancel my monitoring service. We must verify that you are the account holder in order to cancel service with us. Please also be aware that you must inform your insurance company if you are no longer covered by security, fire, or flood monitoring. If you are moving and would like to relocate your service, we would be happy to help you with that process. If you still want to cancel your monitoring service, we are sorry to see you go. Please understand that we cannot discontinue service without verifying the account holder’s identity. Please fill out the form below and one of our representatives will contact you to complete the process. 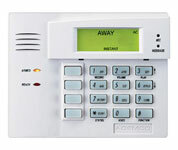 How do I silence an alarm keypad? We are available 24 hours a day, 7 days a week to assist you. The following table will help you resolve your question more quickly. False Alarm Monitoring Station:Contact the Station Phone Number provided to you. Call 453-3388 if you do not know your monitoring station contact number. Notify station of false alarm. Provide your name and the ALL OK PASSWORD that you provided on the Monitoring Agreement, NOT your four digit alarm code. 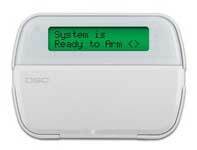 Service, Alarm System Troubles (i.e. Low Battery) Wilsons: 1-866-453-3388 or 453-3388 in Metro Halifax. For emergency after-hours service, call this number to receive instructions for reaching the on call technician. Customer Referral Wilsons: 1-866-453-3388or 453-3388 in Metro Halifax We appreciate your trust in us. Please let us know when you refer a new customer and we will provide you with three free months of monitoring service. 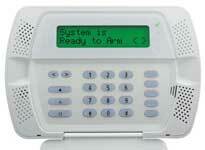 Educate alarm system users. 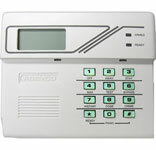 Anyone who has a key to your property must be able to operate the alarm. Be aware of drafts that could trigger a motion alarm: i.e. open windows or heating and air conditioning vents that can move curtains, plants, balloons, etc. Contact Wilsons immediately if you have any questions or concerns about the operation or performance of the alarm system. Notify Wilsons if you plan any remodelling such as changing doors, moving walls, hanging dry wall, sanding floors, any work that involves running wires or makes changes near the keypad or security panel. Notify Wilsons immediately if you change your telephone or Internet service. Ask Wilsons about regularly scheduled inspections of your alarm system. First, Don’t Panic. There is time. Enter your disarm code (carefully) to reset your system. Remember, if there were a burglar, he or she would not know your code. Do not write it on your keypad! Wait for your alarm company or central station to call. Give your password or ID code, this is different from your disarm code. Be sure to follow all procedures established by your monitoring station. Do not leave your home until you have talked with your monitoring station. Finally, any person who has keys to your property MUST be able to operate the alarm. Neighbors, cleaning personnel, real estate agents, guests, relatives, babysitters, service and delivery personnel who may enter your property must have a code to operate your system, and they must be practiced in its use. 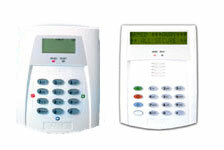 Depending on your security system, you can set up a different access code from your own personal one. Download the First Alert Battery Replacement Guide. Download TeamViewer App if a support technician has indicated it’s necessary.